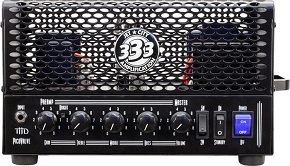 Jet City Amplification was formed in September 2009 with the goal of delivering guitar products to players seeking high-quality amplification products without the big price tags typically attached to boutique offerings. These days, a lot of corporations toss around the word “boutique” pretty liberally in their marketing, but Jet City Amplification works with bona fide craftsmen to bring you REAL boutique designs at prices within reach. Andy Marshall dreamt up the PicoValve almost 10 years ago, and when his allies in Jet City approached him about working on a project together, he knew instantly this was the right time for PicoValve. THD amplifiers, such as the UniValve and BiValve, are respected by tone-seeker around the world for their smooth and warm single-ended Class A designs and elegant-industrial good looks. And just like its big brothers at THD, PicoValve features unique topology that allows changing the power tube at will–you can use nearly any octal-based tube without re-biasing the amp. The included 6L6 power tube delivers a nice all-around warmth and clarity. And if you’re looking for a tighter and more articulate bottom end, use a 6550. Or for a tone somewhere between the two, a KT66 will produce that sound. 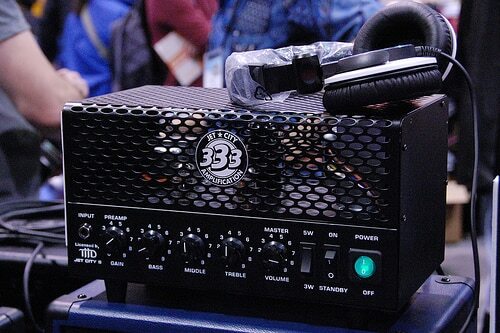 If you’d prefer your tone a bit more “British” with grittier, more midrange breakup, pop in an EL34–it’s easy to do. Keep a little arsenal of your favorite power tubes on hand and tailor your output with whichever one suits your needs for every track. At only 5 watts, with a half-power switch, PicoValve can bring that wonderful power tube distortion at reasonable volume levels for recording. Also included are a full tone stack with treble, middle, and bass controls for true tonal range, and Preamp and Master Volume controls for dialing up just the right amount of overdrive and output level. All this tonal goodness is wrapped in THD’s signature steel cage design. JCA20H: Keep it simple, Soldano. Tube amp legend Mike Soldano Jet City Amplification’s lead designer and he’s also one of the company’s founders. Since the late 1980s, Soldano’s name has become synonymous with searing, overdriven guitar tones through no-nonsense, bulletproof designs. Soldano’s straightforward attitude translates well to guitar tone-seekers: the shortest signal path from your guitar to the speaker means purity of tone. This is why you don’t find fancy DSP or extra “marketing knobs” in Soldano’s designs. Just sweet undiluted tube-goodness. And fewer “ancillary features” result in greater reliability: fewer parts and streamlined assembly distill down to products built for lasting high performance. With three 12AX7 and two EL-84 tubes, JCA20H delivers pure, refined, all-Soldano tone. Controls include Preamp and Master Volumes, and full EQ with Presence, so you can dial up the right tones, right now–from sparkly cleans to full-on, muscular crunch. Check for price. Everyone knows tube amplifiers do their best dirty deeds when the power section opens up a bit. And sometimes that great tone is going to occur at volume levels that might be a little bit . . . Inappropriate. Laying down your guitar tracks at home at night and want to remain on good terms with the neighbors? Gigging in a small club and need to control your stage volume and also feed the monitors and the mains? The JetStream isolation cabinet presents a solution for these situations. And once again, Jet City turned to the experts for help–this time, the acoustical engineering brainiacs at Eminence Speaker. Since all Jet City speakers cabinets are loaded with custom Eminence Jet City drivers, it was a no-brainer to collaborate on this clever cabinet. Completely enclosing the 12” driver in a specially designed cabinet with special baffling and sound-absorbing materials allows the driver to perform at full volume with minimal leakage. Connect it to your Jet City amp as you would any other speaker cabinet and set up your amp tones–go ahead and turn it up! Clip in your favorite mic and position it the way you prefer thanks to the fully adjustable goosneck. Then close up the JetStream’s front door and breathe a sigh of relief. Now you have two output options–the standard XLR output directly from the mic to your mixer or recording interface, or use JetStream as a recording interface itself–from the USB 2.0 output directly to your Mac or PC. 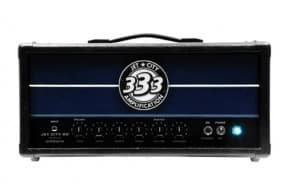 We’ve just covered three of the great products from Jet City; plug in and find out what real tube amp design and quality tone are all about. Check for prices.